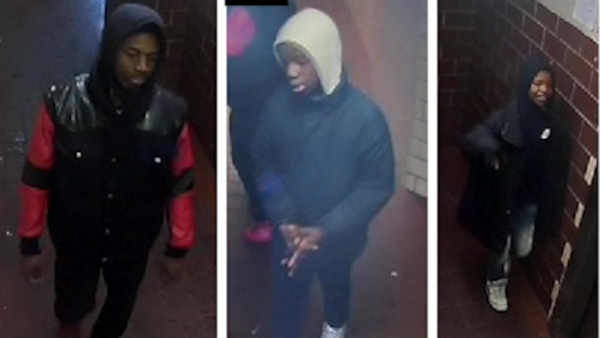 CONEY ISLAND, Brooklyn (WABC) -- Police are looking for three suspects wanted for a string of violent robberies across Brooklyn. The trio has struck at least five times since late November, according to the NYPD. The most serious attack happened on Dec. 19th on West 33rd Street in Coney Island, when the suspects knocked out a 68-year-man, causing him to lose consciousness. They stole $120 from his wallet and took off. In another incident, a 62-year-old woman was kicked in the back outside an apartment building, causing her to fall and hit her head. Victims have been robbed of cash, bank cards, cell phones and other miscellaneous items.